You are here: Home / News / Academics / What Can You Do With $20? Purchased a ton of burritos at the Rivergate Taco Bell and delivered to them people (in KYTN conference office, Nourish, Madison police precinct, and a few friendly people on the street). Ordered pizza and breadsticks for homeless in downtown Nashville. Bought flowers and note cards from Kroger and handed them out to people at the mall or left them on their car windshields. Shopped at Dollar Tree for inexpensive, but fun items, then gave them to people at the mall with notes of encouragement and scripture. Procured flowers and notes cards, then left notes on the windshields of cars in the parking lot of First Watch and handed flowers to the women in the restaurant. Purchase Krispy Kreme donuts and deliver to a construction crew, some landscape workers, and a group of adults from a care facility who happened to be on an outing. Encouraged Miller’s Florist to triple the funds in flowers and then taped flowers and sweet notes to EVERY resident’s door at the Cumberland Towers (That’s 160 doors! Baked cookies for the students to enjoy upon return from the adventure and take time to leave a “warm fuzzy” on EVERY locker in the building. These spontaneous random acts of kindness by both our students and community partners that joined in the fun are evidence that $20 goes much further than anyone can imagine. 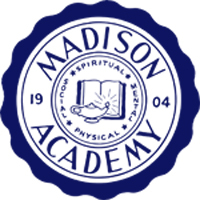 http://www.madisonacademy.com/wp-content/uploads/2014/10/MA-Seal_blue-201.jpg 200 200 Kris Fuentes http://www.madisonacademy.com/wp-content/uploads/2014/08/MA-Logo-Header_blue_no_address.png Kris Fuentes2019-03-28 15:05:232019-03-28 15:06:56What Can You Do With $20?